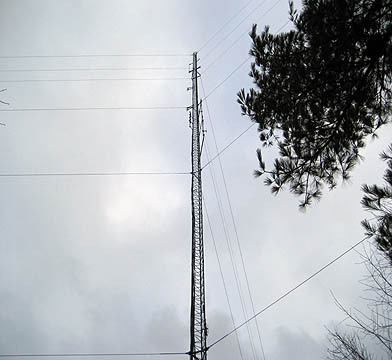 Established in the 1990’s at it’s current site on Worden Hill atop Bristol Mountain, the 145.11 Repeater antenna is the highest in this area @ 2325 Ft. ASL. This Finger Lakes site overlooks Monroe, Ontario, Wayne, Livingston, Yates and surrounding Western NY counties, with mobile coverage as far north as Watertown and HT coverage to the cities of Rochester, Canandaigua and more. Duplexer: Sinclair 4 cavity Bp./Br. 30 Amp., charging a 500Ah. storage array.